When you walk in your local video game store and see a black box in the middle of a wall of white ones, you automatically know that there’s something special to that game. That black box was initially devised by Nintendo to indicate games with adult themes and divide them from the bulk of the Wii library. Pandora’s Tower fits perfectly in that category. At the outset of the game, the young and beautiful Elena is chosen to sing during the Harvest Festival of the kingdom of Elyria, but during her performance a curse transforms her into a monster. The knight Aeron finds her after she regains her human form, and the two flee together with the army at their heels. Mavda, an old merchant belonging to the Vestra people, guides them to the Observatory, an ancient building overlooking the Thirteen Towers of Okanos. There Mavda explains that the only way to lift the curse is for Aeron to explore the towers in search of the ancient Master beasts, slay them, and bring their meat for Elena to feed on. Only eating monster meat will help the previously vegetarian Elena retain her human form until the curse is finally lifted. While the plot may seem fairly simple, its moral and ethical implications are far reaching, with Elena forced to feed on other sentient creatures, and give up part of her humanity in the process, in order to stay human. The scenes in which she eats monster flesh don’t pull punches, and definitely aren’t suited for those with a weak stomach. 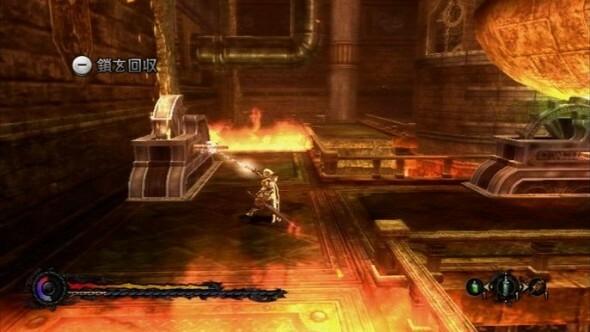 As a contrast with this crude and ruthless reality, the game also tells an extremely romantic and beautiful love story (something that tends to be rather rare nowadays), as Aeron and Elena get to tighten their bond step by step, while she’s locked away in the Observatory, creating an almost poetic alternation between the violent battles in the towers and the growing feelings between the protagonists. This reflects deeply in the gameplay. The player will explore the towers keeping track of the progression of Elena’s curse thanks to a gauge visible at all times. When the time is up he will have to go back to the Observatory to give his lover the meat she needs to reverse the mutation and to resupply. At first sight, this kind of “pit stop” may seem like a chore, but it isn’t. The opening of new conversation options and the insight in the lore behind the game they offer turn the moments of respite at the Observatory into a reward, just as Elena’s gentle smile is a warm prize for Aeron’s troubled heart. 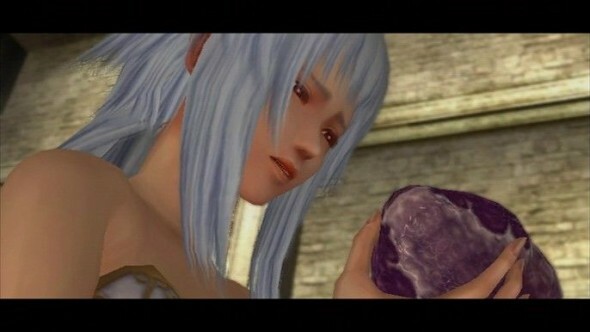 The reward is more than just lore-related and romantic, though, as cultivating the growing relationship between the two lovers will radically influence the finale of the game, determining which one of the six endings will appear before the credits roll. In addition to that, Elena’s gratitude will often be much more tangible than simple, albeit loving, words. 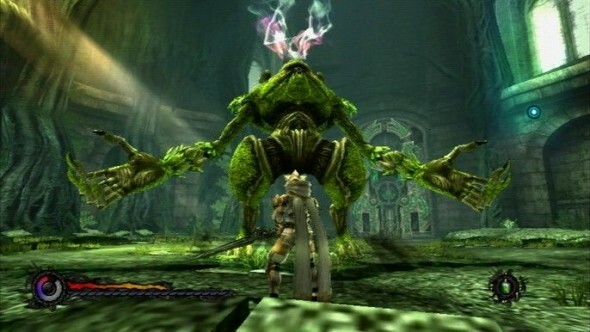 While most JRPGs provide a vast map to explore, Pandora’s Tower adopts a very different approach, localizing the explorable world in the towers and their immediate surroundings and creating a self-contained world that can sometimes feel a little limiting. Despite that, every tower has a very different layout and theme, providing a good level of visual variety and keeping at bay the feeling of boredom that could stem from having to travel in such a limited area. Combat is what makes the game really shine, due to an element that most JRPG fans would not expect: the Wiimote. 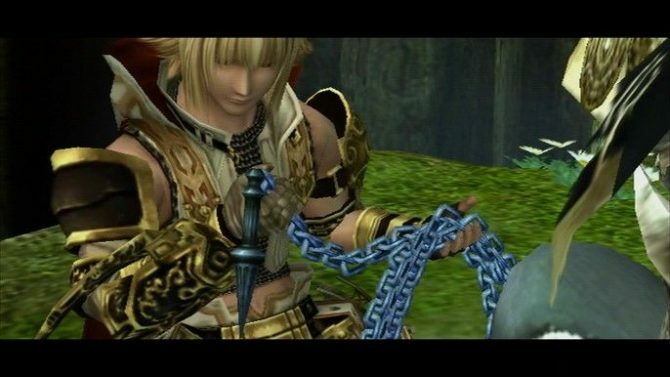 Playing The Last Story with a Wiimote is cumbersome, and wading through Xenoblade: Chronicles without the help of a Classic Controller is almost unthinkable. Pandora’s Tower has been designed from the ground up with the Nunchuck/Wiimote combination in mind, and the result is quite interesting. Aeron has a melee weapon (that can be replaced with a few more advanced ones during the game) and a chain in his arsenal. While fighting with the melee weapon is rather straightforward, with multiple attack button presses, resulting in combos and a power attack executed by holding the button down for a few seconds, the Oraclos Chain is the true protagonist of most battles. The chain can be used to perform quite a variety of moves: it can hit distant enemies, bind them in place, rend and cause more damage, bind monsters together or to a solid object, or throw them and make them spin around Aeron. While the pace of combat is relatively slow, the multitude of options granted by the use of the chain create a pleasant mix between action and tactical gameplay that will definitely serve as a breath of fresh air to many. Its utility isn’t even limited to combat. Aeron can use it to rip chunks of flesh from defeated monsters in order to feed his beloved, to grab otherwise unreachable items and as a climbing aid. Using the Oraclos Chain is so fun that you’ll often find yourself forgetting about your sword and favoring the chain as your primary means of attack, even if the best way to fight involves using both to wreak the most havoc between your enemies. There’s something oddly satisfying in chaining two enemies together and then slicing one to pieces while watching the damage transferring to the second. The only small flaw in this system comes from its lack of familiarity, and from the fact that most moves aren’t explained very effectively in game, creating a rather steep learning curve for those that didn’t read the manual. Of course, actually reading the booklet solves the problem, so the issue is easily reduced to getting used to unfamiliar but still rather intuitive movements. Exploring the towers is normally fun, especially thanks to the many ways in which the chain can interact with the layout of the levels. 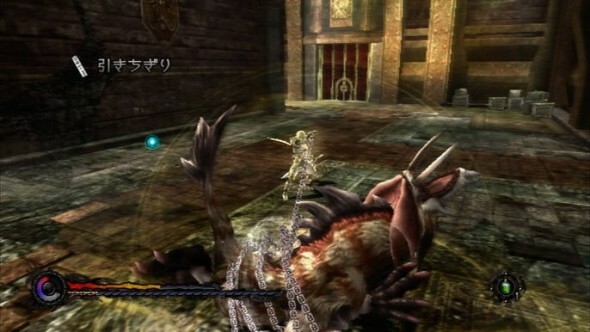 Some may find the extensive backtracking necessary to feed Elena cumbersome, but the presence of many unlockable shortcuts and the fact that some monsters and items appear only at a certain time of the day turns returning to charted territory into a new experience that can grant new encounters and rewards. 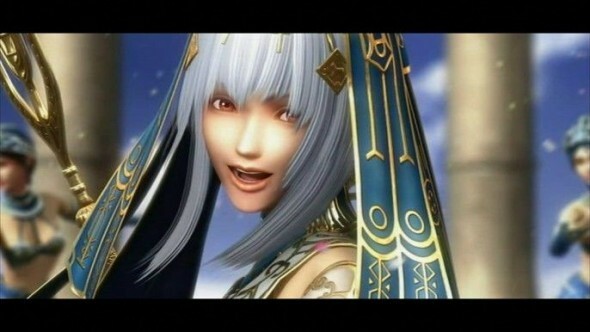 The visuals of Pandora’s Tower aren’t exactly top of the line. They are, in fact, nearer to the lower end of the graphics spectrum even for an underpowered console like the Wii. 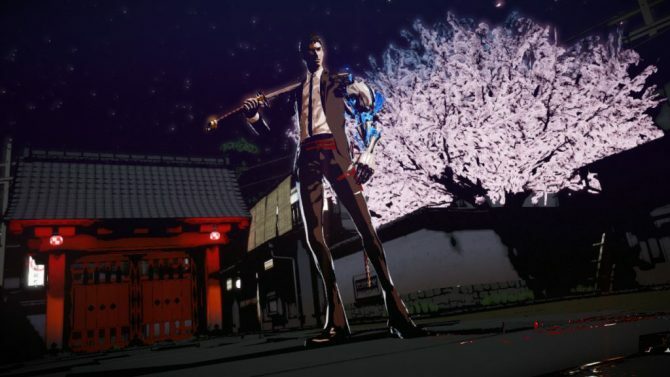 Memory constraints forced the developers at Ganbarion to recycle textures and models quite a lot, and the low resolution of the assets doesn’t help, while creating a look that can’t really be defined as flattering, at least technically. Cutscenes are just a little better, and while they don’t look quite as pixelated as the rest of the gameplay, they still appear dated in comparison to most other games of the genre, even on the same console. That said, Ganbarion managed to compensate the technical shortcomings, probably due to a low budget, with great art direction and lovely design of characters and environments. The design of Mavda is probably one of the best I’ve seen in a while. She’s mysterious and extremely creepy at the same time, giving the idea of the perfect Deus ex Machina even before she starts talking. It’s almost impossible not to grow fond of her despite her definitely unflattering looks. The towers are a silent but quite pervasive protagonist in the game, and their environmental design is excellent. 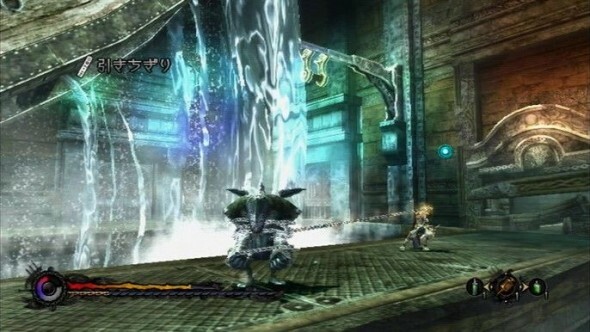 They create a wide variety of backdrops that make exploring the limited world of the game more rewarding, especially thanks to the attention to detail that really contributes in giving the player the sensation of traveling through the remnants of something ancient and alien at the same time, with some elements that make perfect sense contrasting starkly with others that seem to come from a completely different world. While graphics don’t even come near to what you would expect from a game in 2012, the soundtrack is downright excellent, with a large variety of tracks that perfectly underline every moment of the game. They swing wildly between romantic instrumental tunes and imperious and epic choral pieces that contribute to the extreme contrast between the relatively peaceful atmosphere of the Observatory and the grim and violent battles that happen in the Towers. The English voice acting is adequate, even if Aeron and Elena don’t really shine for expressiveness or acting prowess. The voice of Ann Beach on Mavda is definitely the best between the main cast, complementing her looks and role perfectly. Unfortunately the original Japanese voice acting isn’t available on the PAL disc, and that’s a pity, considering that it was way superior in basically every aspect. The English localization also suffers from the usual and completely unwarranted removal of the original names; that always manages to put my teeth on edge and that seems to be a common practice at Nintendo. I really can’t find any reason why the name Ende would be considered inappropriate to the point of having to be changed to Aeron, or why Ceres is deemed so offensive to warrant the removal in favor of Elena. 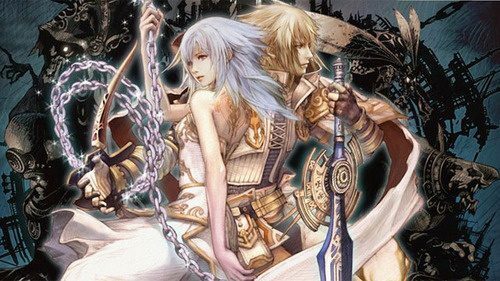 Ultimately Pandora’s Tower is a worthy conclusion for the triplet of JRPGs on the Wii. While it lacks the sheer scope of The Last Story and of Xenoblade Chronicles, it compensates fully with an original gameplay created from the ground up for the console and its controller, daring to explore uncharted territory in the action JRPG genre. While the graphics may turn off those that can’t live without the latest effects and the visual glitz of this generation, most fans of the genre won’t probably care quite so much, and will be able to enjoy a dark and romantic story that kept my eyes glued to the screen from the beginning to the end. 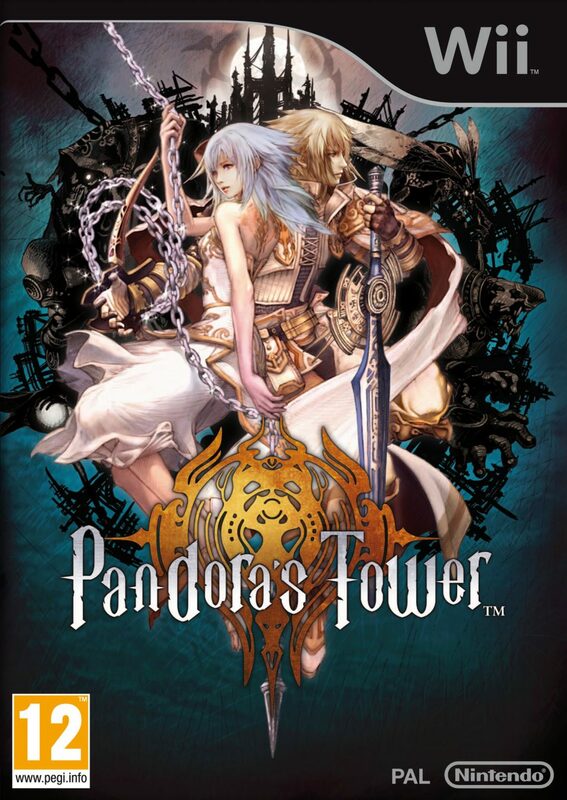 The world of Pandora’s Tower is not even near to bright and cuddly, but every time you leave the Observatory to do battle for your beloved Elena, your heart will be warm.